Saga V2 right handed version. 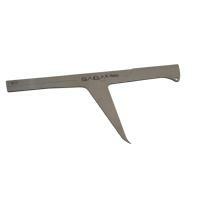 For the regular and fragmented cutting of natural and fibre cement slates (with adaptor ref:61036). Adaptor kit to convert the CAD 4 Slate Cutter to Fibre Cement. Hole punch for natural roofing slate. Hand cutter for natural roofing slate.